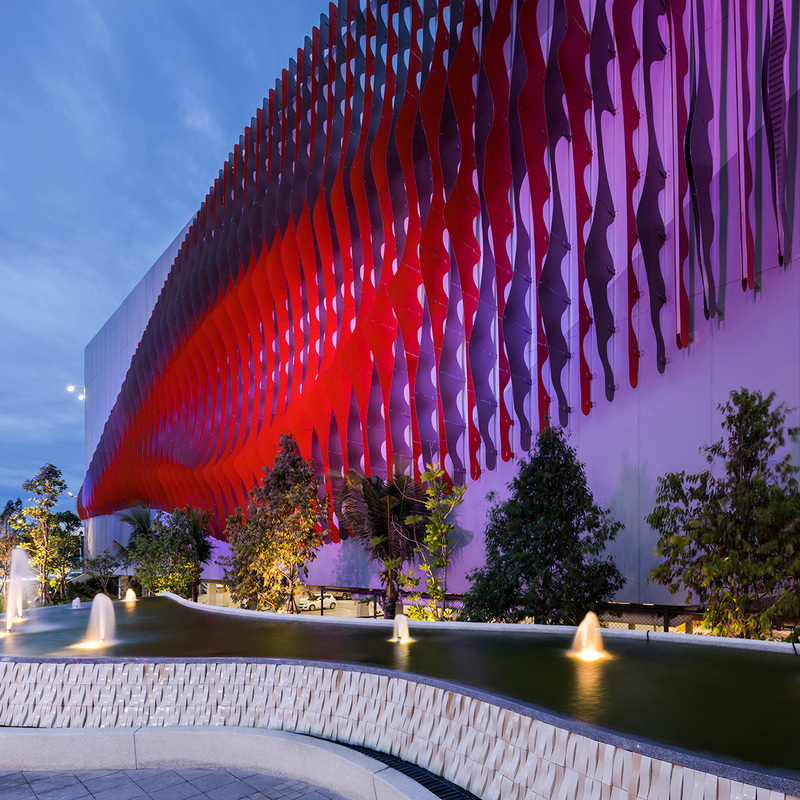 Located along a major highway just south of Bangkok in Thailand, the Central Plaza Rayong has gained attention for its electrifying façade. 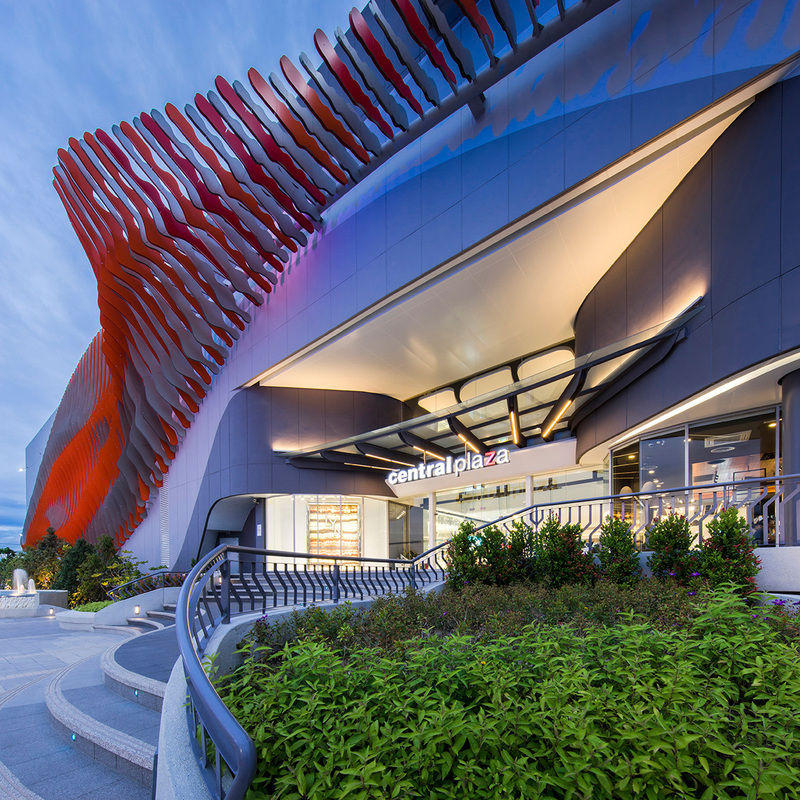 The commercial shopping center, designed by Synthesis Design + Architecture, features CNC-milled aluminum composite “fins,” which were manufactured and installed by PK Aluminum Company. The ACM fins, provided by ALPOLIC, were installed to create two “fields” of surfaces, which produce a rippling effect along the building’s concrete façade. The two mentioned “fields” on the installation are indicated by the color that was applied to one side of each aluminum fin. 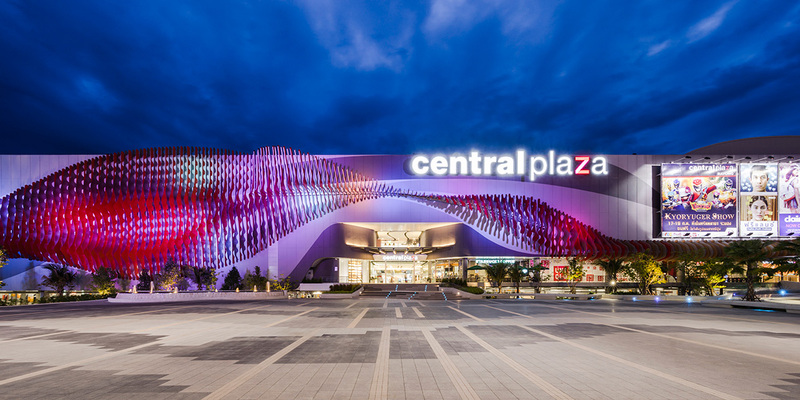 After extensively studying and experimenting with different digitally-rendered forms using Grasshopper for Rhino, a graphical algorithm editor that designers use to work with Rhino’s built-in 3D-modeling tools, designers developed a series of surfaces that were defined by attractor curves to produce the mall’s iconic undulating façade installation. The end result of the designers’ efforts arrived in the form of a visually appealing and complex installation that elevates the appearance of the shopping mall. This artful aesthetic is only enhanced with the application of bright, vibrant colors that pop against the precast concrete façade. Because the building’s focal points are the aluminum fins, it is imperative that these brightly-colored embellishments remain in pristine condition for an extended period of time. To achieve this, Lumiflon FEVE resin was applied to the aluminum composite material used for the fins. FEVE-based coatings provide a plethora of advantages that prove incredibly beneficial to high-exposure architectural structures. Lumiflon FEVE resin technology provides durability, excellent color and gloss retention, and outstanding weatherability.